Our shared goal at the Roads to Reading Literacy Initiative (RTRLI) is to make sure that children living in low income households have access to quality reading materials. To achieve this goal the Roads to Reading Literacy Initiative wants to raise $30,000 dollars so that we can put three new age appropriate books directly into the hands of 23,000 children living in low income households in America. Will you help us with a donation so that we can reach our goal? Did you know that there is a direct correlation between leisure reading and a child’s academic achievements in school and throughout life? Here is what the National Assessment of Educational Progress (NAEP) has to say about “Reading for Fun”. “The connection between leisure reading activities and reading achievement has been established by numerous studies (e.g., Watkins and Edwards, 1992). Part of the reason for this connection may be that students who frequently read for fun not only gain practice in the process of reading, but also are likely to be exposed to a broad scope of topics and situations in their reading that can provide a base from which future reading experiences are enriched and made more meaningful. A clear connection between frequent reading for fun and higher average reading scores is suggested by the NAEP 1994 (and 1992) results. At all three grades, students who more frequently read for fun on their own time had higher average proficiencies”. You can view the whole report on the importance of children participating in leisure reading activities in our Reading Proficiency and Home Support for Literacy report. Please support our goal of making sure children have books to read at home, $1.00 will help us bring new books into a child’s home. 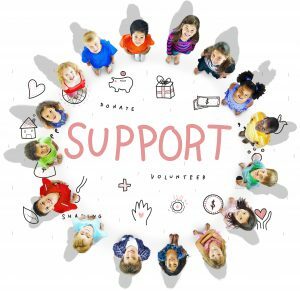 The Roads to Reading Initiative (RTR) depends on monetary gifts from individuals, charities, corporations and foundations to operate its programming. Eighty cents out of every gift dollar received goes into programming. Our largest expense is purchasing and distribution of books. For every Twenty dollar ($20.00) gift, we can purchase 30 new children’s books to put into the hands of a child in need.